Edits, Giveaways, and a Blurb! Then you go through it all again. And you know what – we can’t help it, because it’s a part of us, and it’s worth it. Extra worth it especially when a writer you really admire gives you a blurb for your book! “Wow! A fast-paced, science fiction delight with fabulous action, a seamless world, and the most unique characters I’ve read in a long time.” — Elana Johnson, author of the Possession novels. I can’t even explain how happy this makes me! It also really helped give that extra boost I needed to go through Chameleon for the 3984029th (final) time. 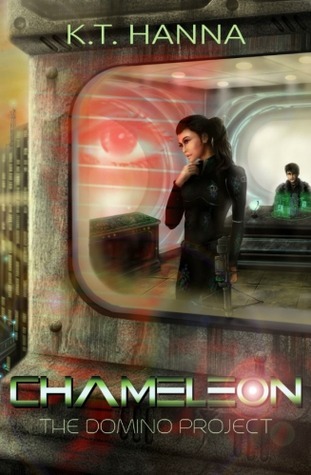 I just got done with my final proof of Chameleon (and I swear if it has typos, I’m going scream, but I’m going cross-eyed from trying to find them). But wait there’s more! I now have to edit book 2! Yes, you read that right. Book 2 – Hybrid, is due to release in November, so I’m in full swing for those edits too. Add to that, I have my preorder giveaway going on. And I’ve just started a two week giveaway on Goodreads with a chance to win one of two signed paperbacks. Now I really need to sort my #PitchWars bio out, because those damned gifs, are not cooperating.